A team plays shorthanded when one or more of its players is charged with a penalty. However, no team is forced to play more than two players below full strength (six) at any time. If a third penalty is assessed to the same team, it is suspended until the first penalty expires. When a penalty is called on a goalie, a teammate serves his time in the penalty box. In ice hockey, a penalty results in a player spending time in the penalty box. Ice hockey has three types of penalties: minor, major, and misconduct. The harsher the penalty, the harsher the punishment. Player attempting to continue a fight by throwing or attempting to throw punches or again by continuing the grappling action with his opponent with the intent of intimidation or punishment of that opponent. The aggressor may or may not be the instigator of the fight. Altercation is defined as any incident involving players leading to a penalty or penalties. 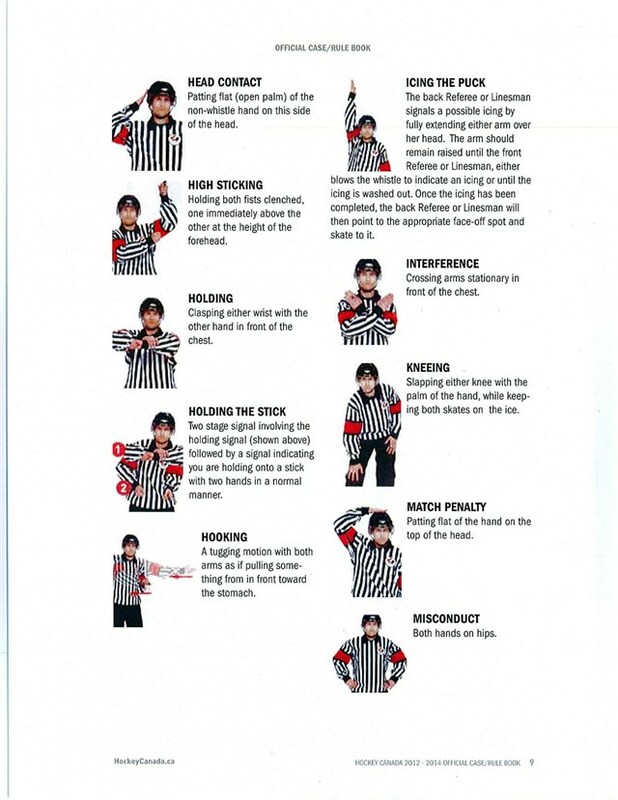 An action by a player or team official who by the use of a stick, skate or other object, or by using her body, hits or attempts to hit an opposing player or team official, or game official with the intention of causing injury. A stick that in the opinion of the Referee is unfit for normal play. The action whereby a player uses the shaft of the stick, above the upper hand, to check an opposing player in any manner or jabs or attempts to jab an opposing player with this part of his stick. The action whereby a player uses the shaft of the stick above the upper hand to hold or hook an opponent. The act of taking more than two steps or strides to contact an opposing player. 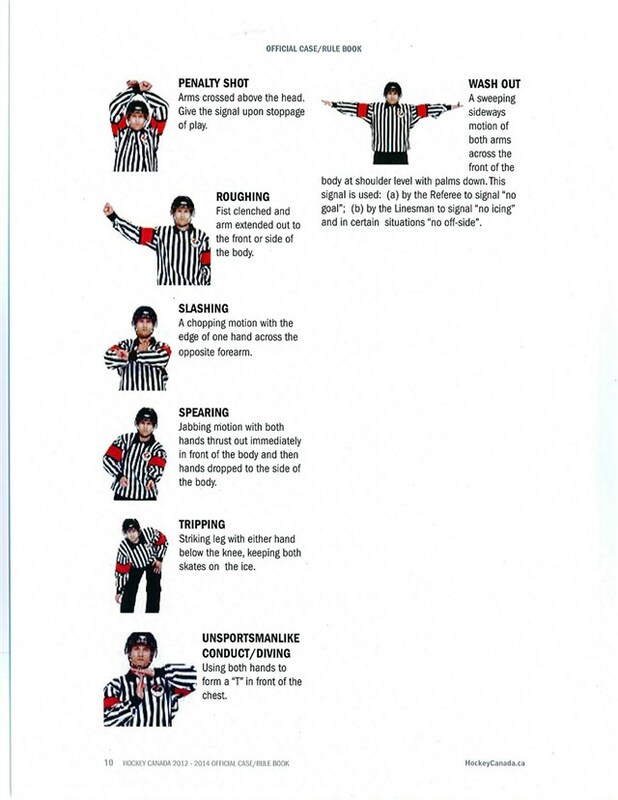 Any action where a player is intentionally pushed, body-checked, high sticked, cross-checked or hit in any manner from behind. The action of using the shaft of the stick between the two hands to check an opponent at any height. 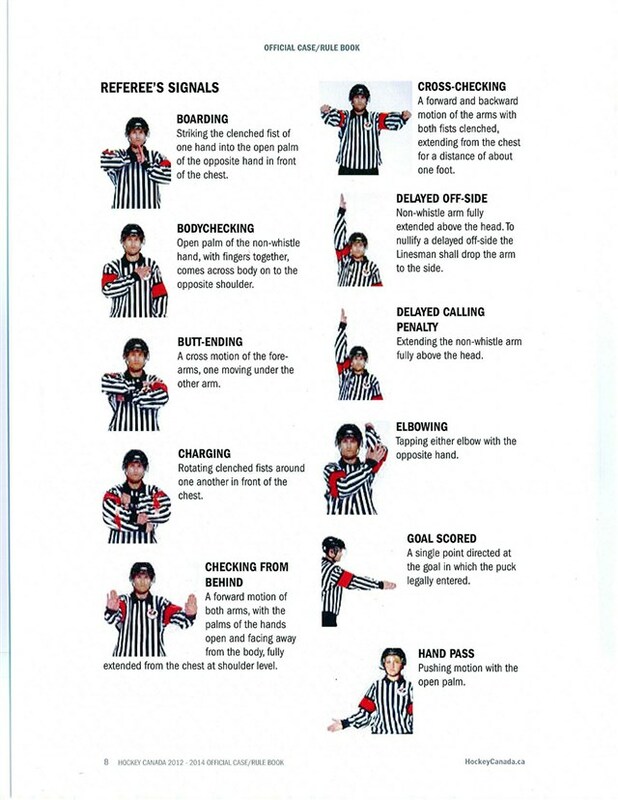 The action of the Referee or Linesman in dropping the puck between the sticks of two opposing players to start or resume play. A face-off begins when the Referee indicates the location of the face-off and the officials and players take their appropriate positions. It ends when the puck has been legally dropped. When a player has been removed from the game for three or more stick infraction penalties, this player must leave the area of the players’ bench and must in no way direct, coach or assist the team in any manner for the remainder of the game. The action of the player carrying the stick or any part of the stick above the normal height of the shoulder. Any action by a player that retards the progress of an opposing player whether or not she is in possession of the puck. The action of using the blade of the stick in a “pulling or tugging” motion to impede the progress of an opponent. The hooking action may apply to any part of an opponent’s body or stick. The player responsible for starting a fight by throwing or attempting to throw the first punch(es). The action of a player deliberately using his skate(s) with a kicking motion to contact an opponent, with no intent to play the puck. The action of placing the blade of the stick behind the puck and then propelling the puck by kicking the stick. The result of an infraction to the rules. The action of hitting an opponent with a stick while holding the stick with one or both hands. Tapping the stick of the puck carrier is not considered slashing if it is for the sole purpose of taking the puck. A player who swings his stick at an opponent and makes no contact shall still be guilty of slashing. The action of tripping a player by knocking a player’s skates out from behind with a kicking or leg dragging motion. The action of poking or attempting to poke an opponent with the toe of the blade of the stick while holding the stick with one or both hands. A penalty which at any time results in a team playing with less than six players on the ice. i.e., Minor, Bench Minor, Major or Match penalty.